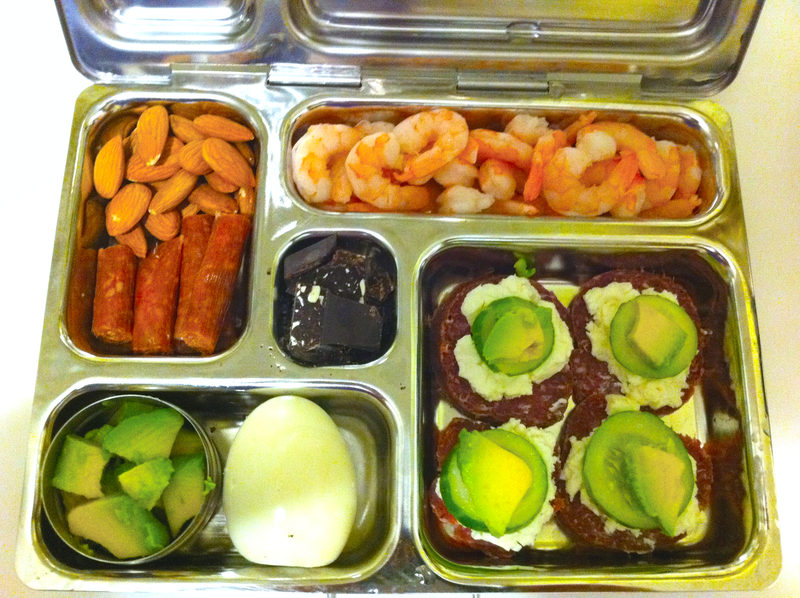 I am SO excited to eat this Lunch Box tomorrow. Tomorrow is a day I can tell I will come to dread: Tuesday. On Tuesday I am out so long that I miss putting my daughter to bed at night. Tuesdays aren’t my favourite. This lunch box, however, just might be! I think I'll add the shrimp to my 'sandwiches'....or maybe I'll mix the shrimp in with the avocado and make a salad...sooo many options!